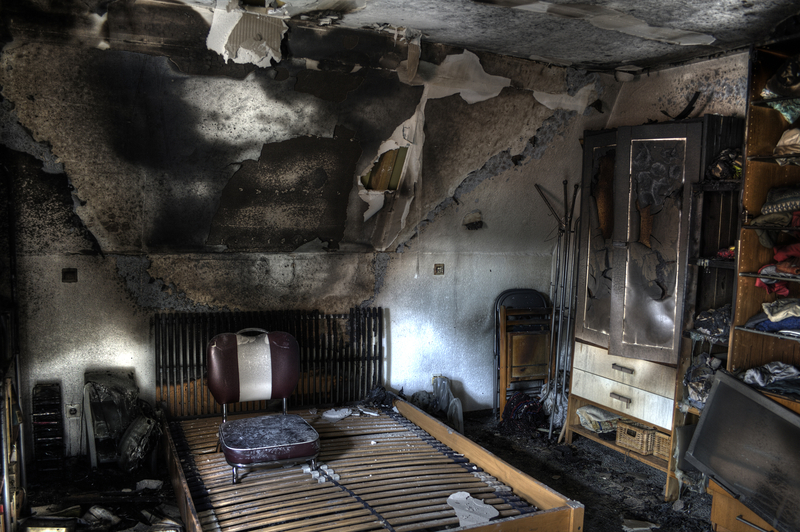 In the event of any type of fire damage, smoke damage is always trailing. Smoke damage is produced when structures and materials are burned and consumed in a fire. If you ever find yourself dealing with fire damages in Houston, rely on the local experts at ServiceMaster Advantage for smoke damage cleaning and mitigation. During a fire, it isn’t always the heat and blaze that can cause significant damage, many times it is actually the smoke that is produced that generates much of the damage. Smoke is a highly absorbable substance, as it can easily penetrate and become trapped within structures, paint, and valuables. Also when chemicals, substances, and certain materials are burned, they each can produce smoke residue with different characteristics such as being oily, gluey, and even corrosive. The experts at ServiceMaster Advantage know how to rid your property and belongings of such residue. When you find yourself dealing with fire damages or smoke damage in Houston, make sure you have the best experts to handle the cleanup and restoration of your property. Contact the disaster restoration specialists at ServiceMaster Advantage. When you call us for fire and smoke damage cleanup in Houston, we’ll work diligently to clean, repair, and restore your property back to its pre-loss condition. Call us today!